One lane of the A14 remains closed in Cambridgeshire this morning due to flooding. The westbound carriageway was earlier shut between the A1 at Brampton Hut and junction 19 at Easton. One lane of the eastbound carriageway wass also closed between Spladwick and junction 18 and Brampton Hut due to flooding, but this has now reopened. 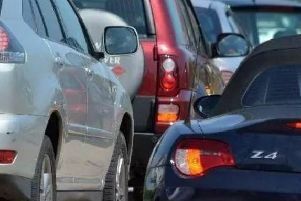 The diversion is causing heavy traffic and delays on the A1 at Peterborough and on the A605 towards Oundle.